With New Zealand being the South Pacific Superyacht hub for both refits and cruising, more vessels are feeling confident after years of reporting by fellow owners and captains to head to the southern hemisphere. Although many visitors believe Auckland is the only city for vessels to come to, this is becoming less of a “must go” place. Whangarei, a city two hours north of Auckland, is opening its doors to the world of superyachts as an entrance to Northland and the Bay of Islands in New Zealand. Here in New Zealand, we believe that the whole world is situated in just our small country, and this all starts at the top in Northland and Whangarei. 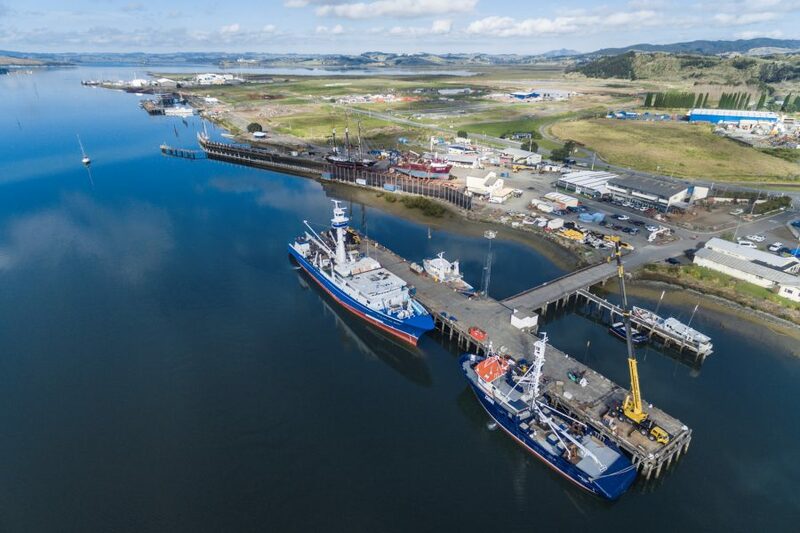 Although a relatively unknown city of the world, Asia Pacific Superyachts New Zealand has seen the potential and opened a new office in Whangarei. Led by Karma Butler, and former crew member, APS NZ has taken off already with a handful of vessels coming to Whangarei. APS NZ can offer both refits and cruising opportunities through their office for many different ships. New Zealand and Auckland, in particular, is a common destination for some of the best refits in the world and Whangarei is no exception. “With a variety of different shipyards some of which specialise in heavy engineering and large refits including a 2000 tonne capacity slipway as well as 40-tonne slipway, we can cater to it all. There are also sheltered berths of 120m, 67m and 36m, complete with a crane”, reports Duthie Lidgard, Managing Director of APS NZ. Contractors include only the best interior fit out services, superyacht paint companies and full marine engineering services, all with workshops on site. There are two main marinas used for docking vessels: Marsden Cove Marina, taking vessels up to 44m within the marina and Whangarei Marina, closest to the town centre and taking vessels up to 20m with a 3m draft. As a city, Whangarei offers a wide range of world-class options for refits and is the ideal place to bring your vessel to refit and then to use as a base for cruising and chartering, as well as an entrance to the rest of the Northland which offers a wide range of activities for everyone. “Not only is Northland extremely beautiful, but it has some fantastic cuisine, great adventures and activities and allows you to immerse yourself completely in the New Zealand culture,” reports Butler. With trips such as travelling to the top of New Zealand, Cape Reinga where the Pacific Ocean meets the Tasman Sea, to sand surfing down the Ahipara dunes, Northland offers it all. From Whangarei, you have easy access to the Poor Knights Islands where some of the best diving in the world occurs allowing you to see just some of what New Zealand has to offer. With beautiful waterfalls, Maori culture and the Waipoua Forest to explore the ancient Kauri forests, Whangarei allows this to happen for you easily, along with great fishing off the coast, white sandy beaches and surf.